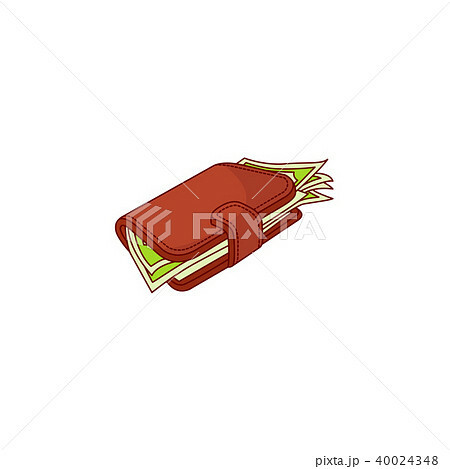 red wallet, purse full of dollar money banknote. Business finance, bank loan credit, saving and payment symbol. Isolated illustration on a white background.